A few years ago one of my girlfriends from North Carolina gave me a subscription to Garden & Gun magazine for my birthday. She was convinced I would love it and while I was somewhat dubious about the title, it quickly became one of my favorite monthly reads. I've since renewed my subscription every year and I look forward to each issue. Sadly, I'm way behind on my magazine reading these days. It seems like every minute of the day I have other things I "should" be doing as the magazines pile up on my desk. Thankfully, I had to take the subway out to Brooklyn yesterday so I was able to catch up on a little G&G. 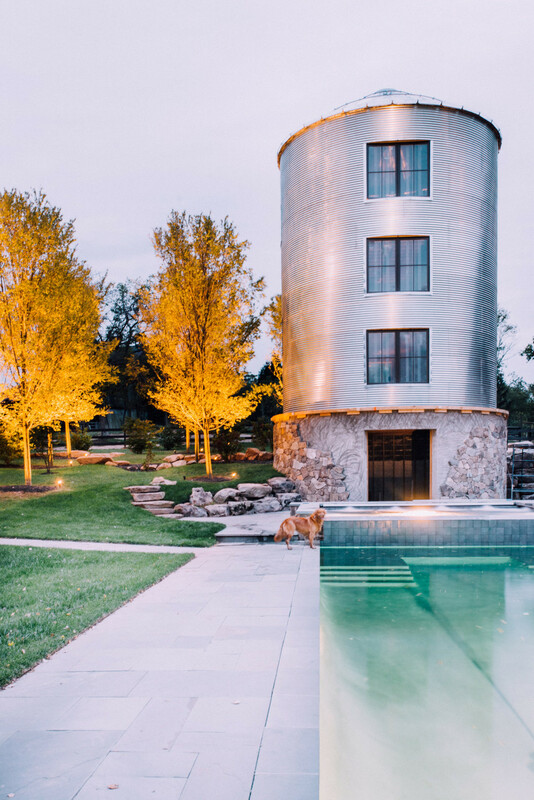 The most recent issue featured this gorgeous Virginia home designed by Cortney Bishop. Take a look and let's discuss. There is absolutely nothing I would change about this place. 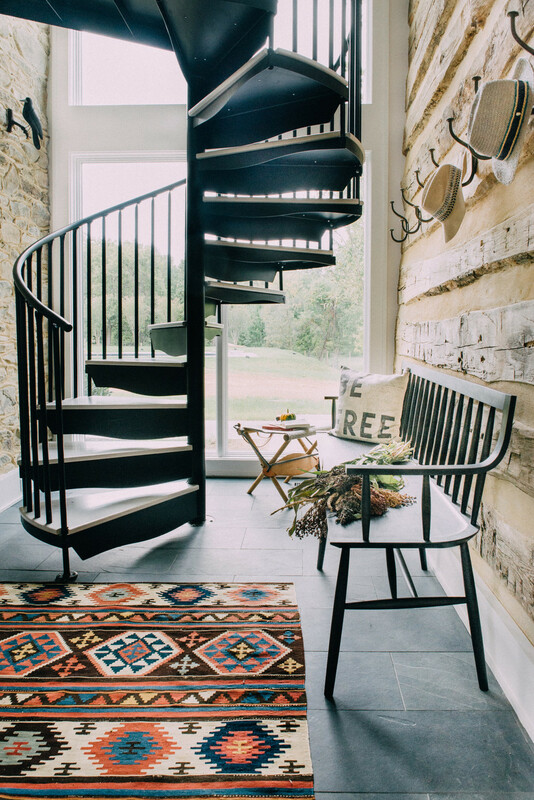 It's the perfect mix of rustic and modern. In fact, on Cortney Bishop's portfolio the project is titled "Primitive Modern." I love a white kitchen as much as the next girl, but it also feels like we have seen *so* many of these. This? This we have not seen a lot of. The wide planks keep it from feeling too dated and the stainless steel backsplash contrasts beautifully with the warm wood. I don't know what is happening under that kitchen island, but I like it. I'm in the process of several large custom curtain orders for clients and sometimes when I add up the cost of fabric and labor, I have a mini-meltdown and feel bad that we aren't doing something more affordable. However, these drapes are just the reminder I needed of how special custom curtains look when they're done. 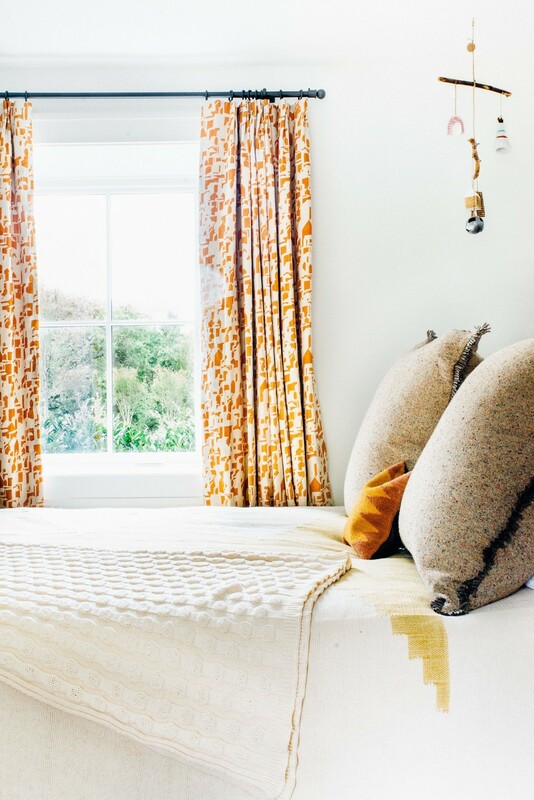 This room is cute, but it wouldn't have the same sparkle without the bold and bright curtains. 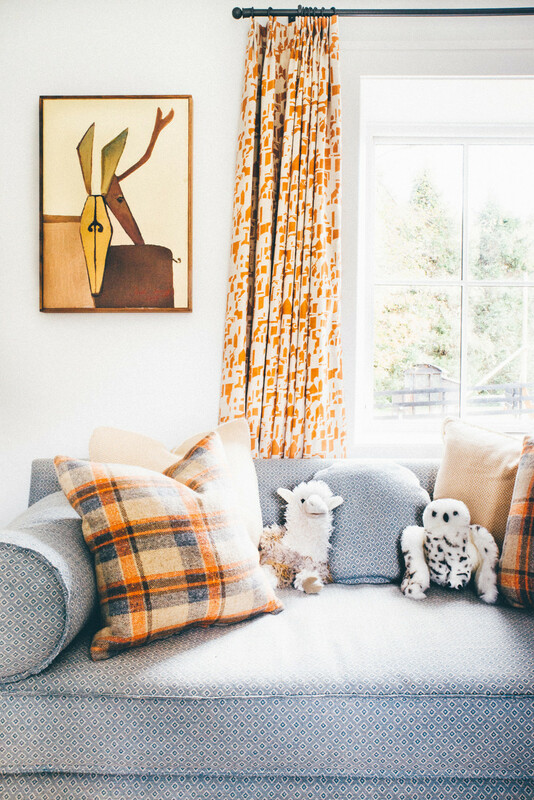 It takes a true talent to make plaid curtains look this chic. 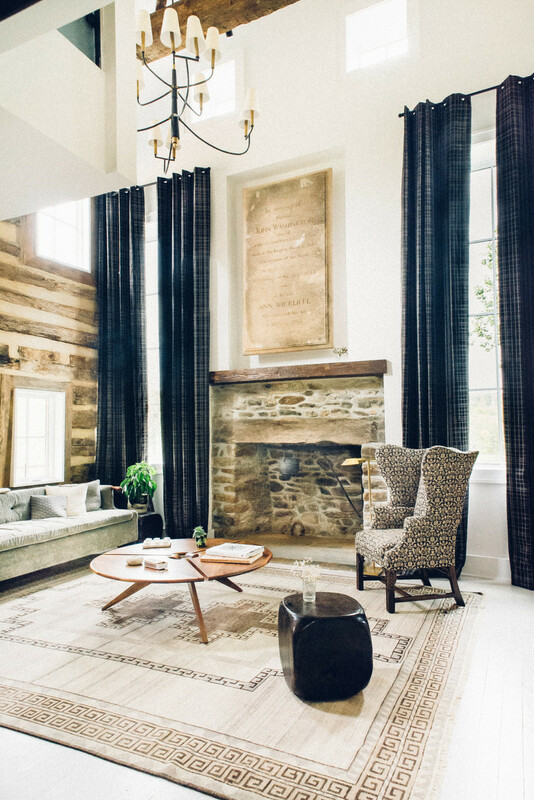 The piece above the mantle is an old gravestone that the owners found on their property. I'm way too freaked out by things like that, but I respect the ingenuity and it looks amazing in the space. This photo is a case for uplighting. I'm not sure if Alpacas are friendly but I would definitely try and make friends with these guys. You can check out Cortney's entire portfolio here and read the original story from Garden and Gun here. Fair warning, I fell completely down the rabbit hole into Cortney's portfolio and I plan on sharing more of her work here soon.